When you think of your bathroom, what do you imagine? Do you see a small, inefficient space, with old tile and poorly functioning fixtures? Maybe your bathroom is not very accessible, or only has a shower and you would really like to add a soaking tub. Or perhaps you want to add a truly luxurious master bathroom onto your bedroom to create a suite you can retreat to at the end of the day. Whatever ideas you have for your bathroom, Nelson Builders can make them a reality. Let us take your bathroom from boring and utilitarian to a truly customized oasis that will be sure to make you happy for years to come. No matter what your bathroom vision includes, let the detail-oriented construction experts at Nelson Builders bring it to life for you. 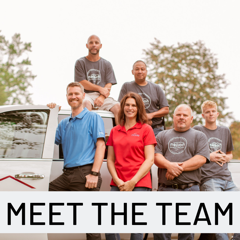 We are a Certified Graduate Remodeler, and have been helping clients throughout the Lakeshore community for over 15 years. We always use superior materials and products to ensure your bathroom remodel is beautiful and durable. What are you waiting for? Contact us today to schedule a consultation! 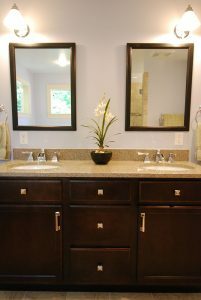 We will happily answer your questions and look forward to getting started on your bathroom remodeling project.